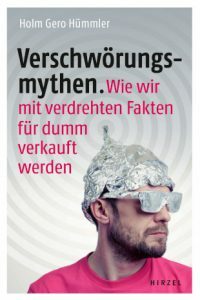 I’ll soon be back with articles that have more new content to offer, and I’ll switch back to German, but as I primarily want to link to videos and two of them are in English, here’s a post in English, for a change. 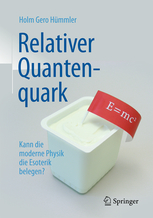 It’ll be short, so most of my German readers should have no problem with that. With the recent shortage of articles here, which is mostly owed to a new book project, I would like to point out some videos of talks I recently gave. I am extremely grateful for the opportunity to talk at the Ratio Science Forum in Sofia in June this year. Great venue, great other speakers to hear and to hang out with, amazing organization. 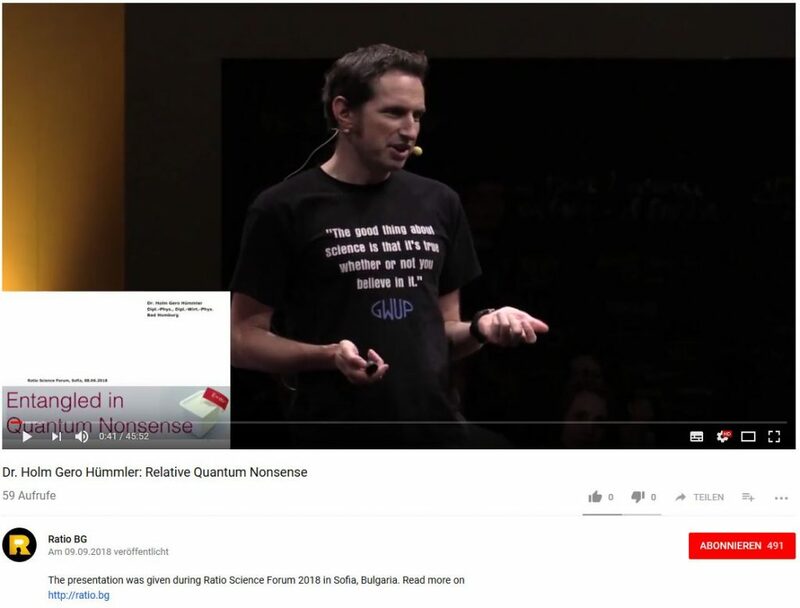 Here is the video of my talk, which is basically a 45 minute introduction to quantum nonsense and how to avoid being fooled by it. 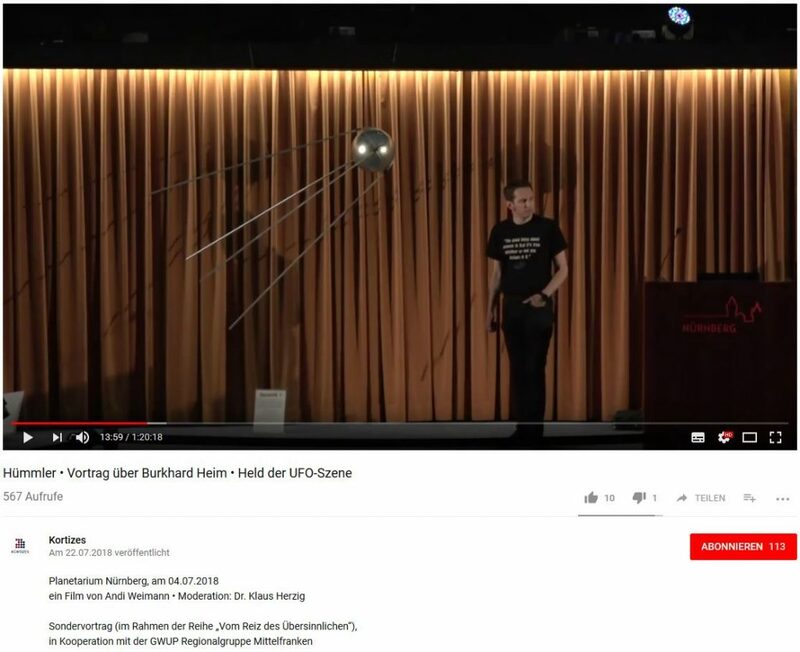 Please check out the Ratio Science Forum talks by biologist Steven LeComber on Maths Murder and Malaria and by astrophysicist Maggie Lieu on The Dark Universe in the Eyes of Euclid, too. 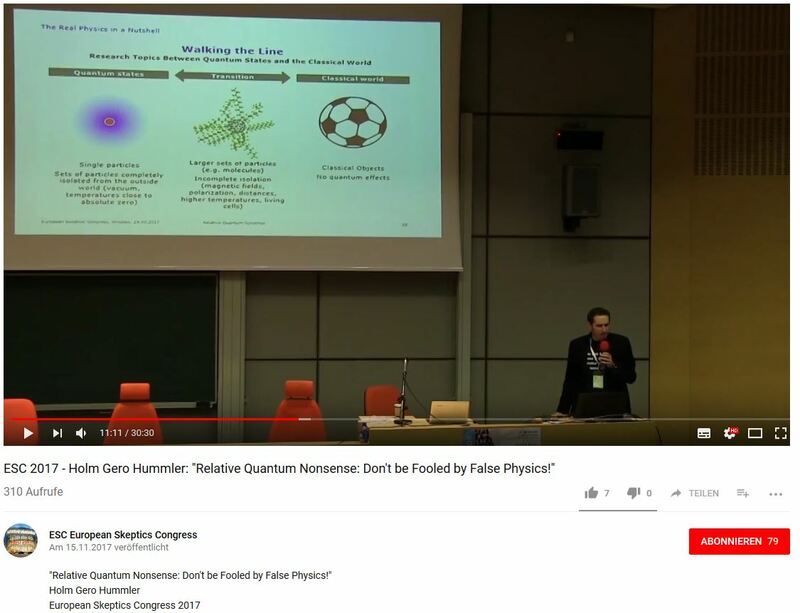 If you don’t want to invest 45 minutes, there is a 30 minute talk with a somewhat similar focus (but without the the theory of relativity, for example) from the 2017 European Skeptics‘ Congress in Wroclaw. I already linked to my science slam talk on biophotons in a previous article. A video that would have been important to me because it was on a topic I don’t often talk about and on which there really isn’t much skeptical material available, from SkepKon 2017, was unfortunately lost due to technical difficulties. Therefore, I thank Andi Weimann and the Kortizes-Institute in Nuremburg for giving us the chance to re-record it and finally get it on youtube. 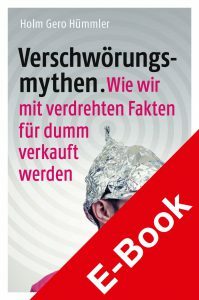 It is about the German post-war fringe physicist Burkhard Heim, whose theories are still popular with UFO, alt med and conspiracy theory believers to this day, even outside Germany. 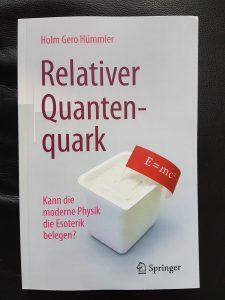 There is a segment on Heim in my book, too, but with the full evening I had at the planetarium in Nuremberg, the talk my be even more in-depth than that. 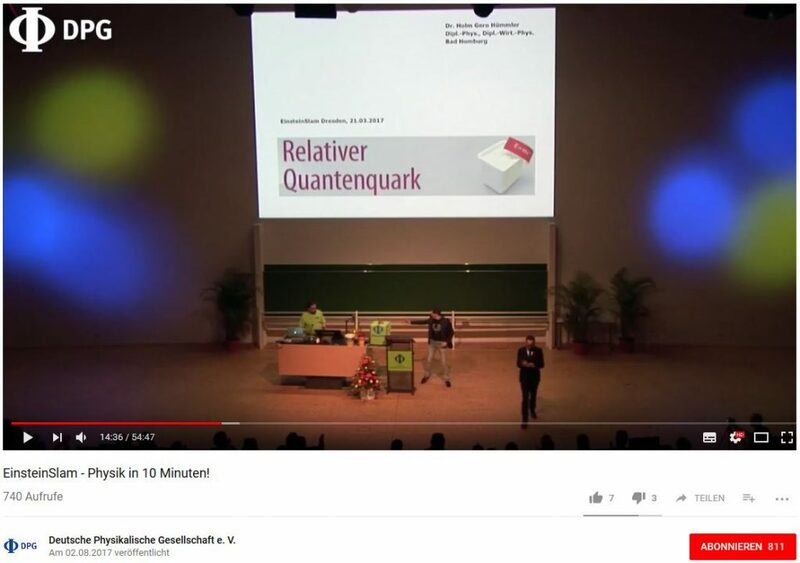 If you understand German, listen to it; it may not be as funny as my other talks, but it is a touching story about a man seriously trying to contribute to science but always hampered by his physical handicaps. His life is made even more tragic by the esoterical nonsense Heim’s incompetent admirers have woven around him and the business they’re making off him after his death.